TV formats may be incredibly valuable, and be sold in franchise in several countries. 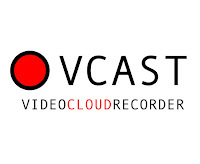 As a result, also disputes relating to TV formats may be complex, lengthy and with uncertain outcomes, as the current litigation relating to The Voice, for example, demonstrates [here and here]. In addition to the complexities of individual cases, a further difficulty is defining what kind of legal treatment TV formats are subject to in the first place. Discussion of the type of protection available has been, in fact, rather contentious in a number of countries. On the one hand, there are jurisdictions (like the UK), in which subject-matter like TV formats may not to be really suitable for inclusion in the scope of protection of an IP right like copyright (also for difficulties related to the closed subject-matter categorisation envisaged by the Copyright, Designs and Patents Act). On the other hand, there are countries which have managed to accommodate protection of TV formats within their own copyright regimes. An instance of the latter approach is Italy [see here]. As reported by DIMT - Diritto Mercato Tecnologia, in its 2017 decision in RTI Reti Televisive Italiane Spa v Ruvido Produzioni Srl, decision 18633/17 (27 July 2017), the Italian Supreme Court (Corte di Cassazione) confirmed that TV formats can be protected under the Italian Copyright Act (Legge 633/1941), and clarified at what conditions such protection is available. 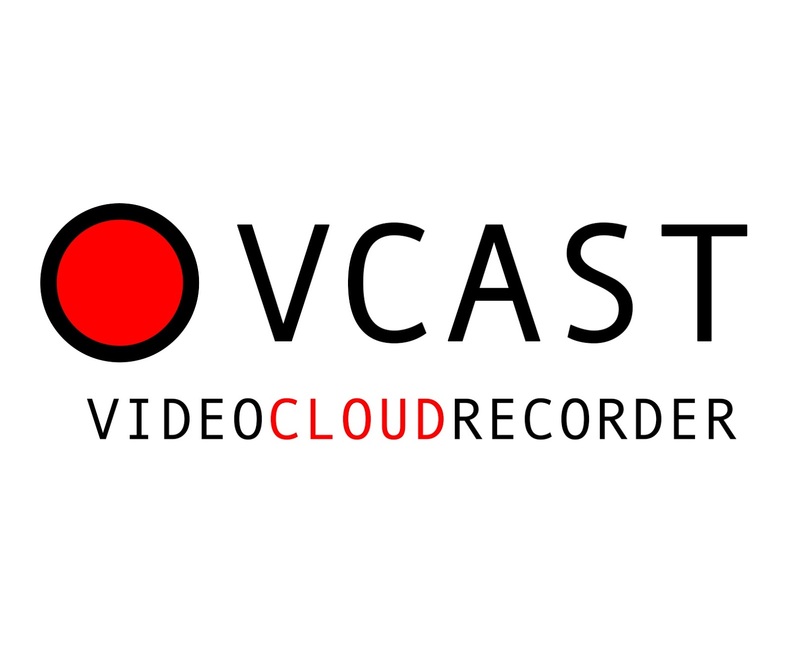 The Court recalled that the Italian Copyright Act does not contain a notion of 'format'. However the definition provided in Bulletin 66/1994 of SIAE, which also allows authors of formats to deposit them, should be taken into account. According to SIAE's document, a work can qualify as a format if it displays - as relevant elements - logical and thematic connections composed of a title, a basic narrative structure, a scenography and fixed characters, which result in a structure that can be repeated. This means that, for instance, a TV programme that mainly consists of improvisations lacks such repetitiveness and cannot be considered a format (Supreme Court, decision 3817/2010). Other requirements are that the format possesses a programmatic structure that displays a modicum of creativity. This requires the identification of, at least, the structural elements of the story, as well as its space and time collocation, the main characters and their personalities, and the main thread of the plot. Lacking these elements, copyright protection shall not be available, because what one would try to protect is still so vague that it can be regarded as an idea, rather than an expression thereof. "this Court intends as a format for a TV programme, protectable as an original work under copyright law, a sketch for a programme, a plot outline defined in its essential elements, generally intended for a serial TV production, as resulting from a brief description." In conclusion, under Italian law a TV format may be protected by copyright if it has both a structure that can be repeated and certain fixed elements, as well displaying a modicum of creativity. With regard to the latter, case law seems consistent in requiring that the TV format is not novel, but rather the personal and individual expression of its author. A few days ago a number of newspapers (mostly in Italian and Spanish) reported that former Argentinean footballer Diego Armando Maradona has sued Italian fashion house Dolce&Gabbana. 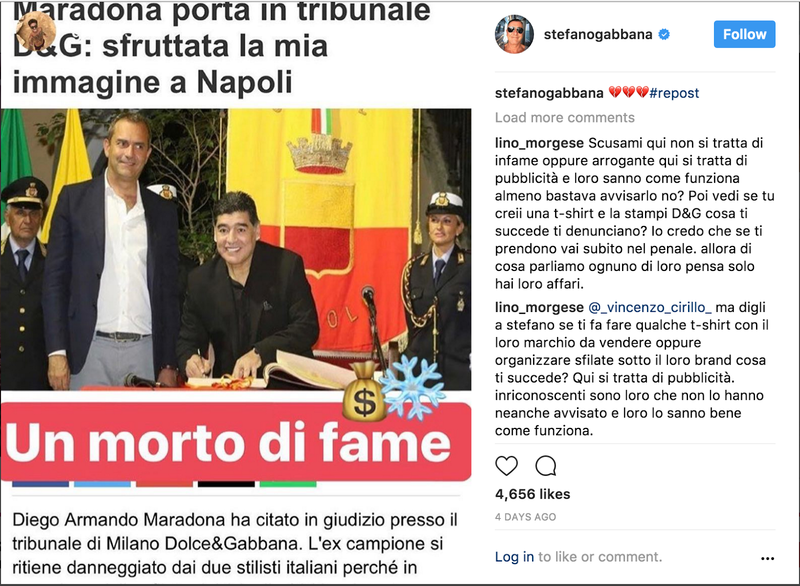 According to Corriere della Sera, the Pibe de Oro (as Maradona was nicknamed) claims that fashion designers Domenico Dolce and Stefano Gabbana have unduly exploited his name for commercial reasons. During a fashion show held in the city centre of Naples [Maradona played for Napoli for a few years, and in that city he reached the peak of his career] in 2016, a model wore a jersey bearing the number 10 [ie the number that Maradona used to have] and the word 'MARADONA'. The jersey itself also had the same colour combination of Napoli's jerseys, ie light blue and white. 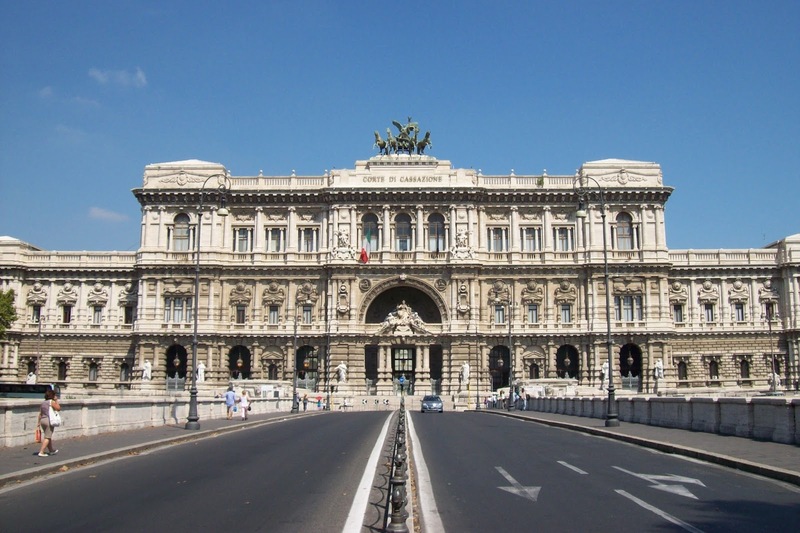 The complaint filed before the Milan Court of First Instance is not publicly available, so it is not entirely clear on what grounds the proceedings have been brought. What seems clear, however, is that Stefano Gabbana has not taken the news of the lawsuit very well. 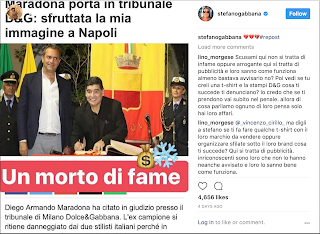 A few days ago, on Instagram he called Maradona a "morto di fame" [literally, "starved", but see here for further explanations and examples]. The question that arises is whether an action of this kind has any likelihood of succeeding. It should be stated at the outset that claims of (mis-)appropriation are not uncommon in the fashion world, and some argue [eg here and here] that cultural misappropriation is actually necessary in this sector. In the case of Maradona, the main complaint seems to relate to the misappropriation and misuse of his name. 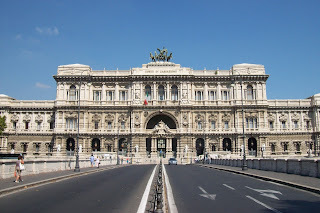 Article 6 and 7 of the Italian Civil Code expressly recognize the right to one's own name. In particular, Article 7 states that a person who may suffer a prejudice from the undue use of their name by a third party can request a court order that would put an end to such use, as well as the compensation of any damages. As regards the notion of 'prejudice', Italian case law seems oriented in the sense of including also prejudices that are merely potential. 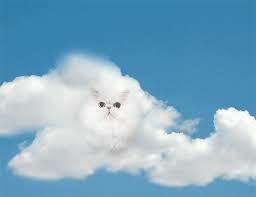 However, case law also suggests that prejudice may not subsist in relation to the use of a name that is well-known. In addition, while the notion of 'use' includes direct uses of one's own name, eg cases of impersonation, and uses of one's own name for a business, product, or fictional character, it is unclear whether use of one's own name on a product without any apparent intention to use the name for designation purposes [as it would appear to be the case here] would fall under the scope of Article 7 of the Civil Code. All this does not exclude that there is plenty of situations in which celebrities and athletes license the use, not just of their likeness, but also voice and name. These scenarios appear to relate, however, more to situations in which the celebrity at issue somewhat endorses a certain product, service, or activity. Other claims might relate to Maradona's trade marks. From a search on TMView, it would appear that Maradona himself owns a valid 'DIEGO MARADONA' registered trade mark. However, one might wonder whether use of 'MARADONA' by Dolce&Gabbana could be regarded as use in a trade mark sense and such as to infringe the 'DIEGO MARADONA' trade mark. (2) such use is contrary to the principles of professional fairness and likely to damage the claimant(s)'s business activity. Italian law also expressly provides for the protection of one's own image (Article 10 of the Italian Civil Code). In the past there have been decision that have held that Article 10 can come into consideration also in cases in which one's own image is not used but merely evoked [as, for instance, it was with Audrey Hepburn's image in the decision commented here]. However, it is doubtful whether this is the case here. In conclusion, the action at issue presents a series of challenges that might eventually lead to its dismissal. It will be interesting to see how the case unfolds and what decision the Milan Court of First Instance reaches. In the meantime: what do readers think?